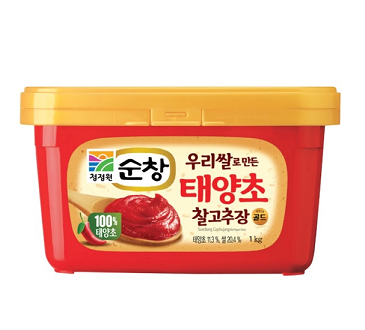 GOCHUJANG(Red chilli pepper paste) is a savoury, spicy, and pungent fermented Korean condiment made from red chilli, glutinous rice, fermented soybeans and salt. It has been naturally fermented over years in large earthen pots outdoors, more often on an elevated stone platform, called Jangdokdae in the back yard. It can be used with many different things.